A Toronto-based Microsoft partner has developed a touch screen mapping application for Windows 7 that can be used for selling a condo, coordinating a police incident command centre, and potentially much more. 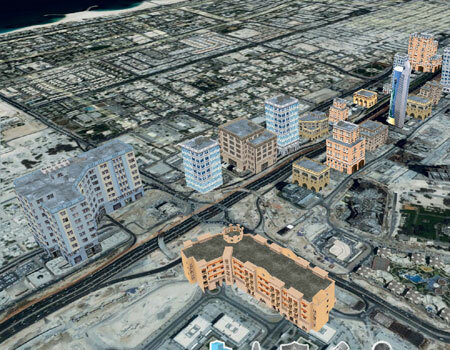 Dubbed Falcon Eye, Infusion Development has created an enhanced version of Microsoft Virtual Earth that can interpret geospatial data and plot it on a map in real time. The software can also represent 3D models of buildings and give to-scale representations of the inside and outside of an existing or future structure. The firm is hoping a wide range of businesses will be interested in finding applications for the software, says Simon Matthews, a solutions architect at Infusion Development. 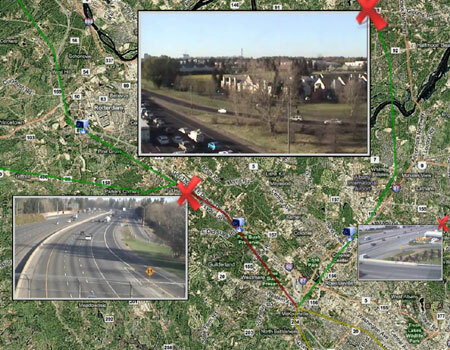 Traffic flow is shown on the map, and live feeds from cameras can be viewed. The program uses multi-touchpoint gestures to navigate the globe, zooming in on a location by moving two fingers outwards from each other, or displaying object information after a finger tap – and was previously limited to the Microsoft Surface hardware. Now, Windows 7 supports multi-touch capabilities and Infusion has prepared Falcon Eye for its debut on desktop computers. Multi-touch was included as a feature in Microsoft’s new operating system to make it easier to use, says Robert Geller, product manager Windows client at Microsoft Canada Co. Demonstrating Falcon Eye on an HP TouchSmart computer running the final code of Windows 7, Infusion has done several mock ups to give an idea of how the application might be used. Using his fingers to pan around the continental U.S., Matthews shows a live traffic map of the entire country. By zooming in to one specific area, it becomes more clear whether your drive home will be congested or not. Tapping on camera icons on the map bring up live feeds to traffic cameras. These video windows can be resized by stretching the window with two fingers. 3D building models can be placed onto the map. There’s also a police application, showing police uniform icons where current reports have been filed. Tapping on the icon brings up text containing details about the report. Another drawing application lets Matthews finger paint on top of the map. “It’s just like if you wanted to draw on a real map with a pen,” he says. Zooming over to Dubai, Matthews tilts the camera to reveal a strip of 3D model buildings along one particularly dense strip. Tapping on the buildings brings up an option to get even closer and see a large scale model of the outside, or dive right into the building’s interior. 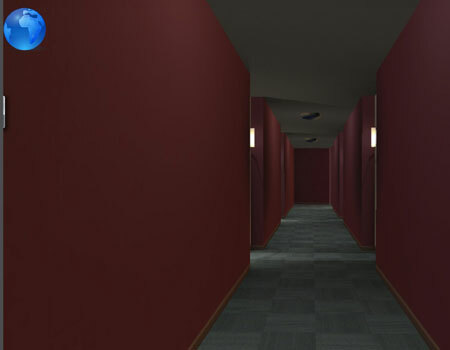 Users can plunge into a building to see the interior layout. The application has the potential to impress a customer in any sales situation, Geller says. Especially for a condo that hasn’t been built yet. Infusion’s mapping technology has been used in a real-life situation. The Tampa Police coordinated their incident response command centre for Super Bowl XLIII using the software on a Microsoft Surface unit. It allowed the police to review multiple incident reports at once, says Shawn Konopinsky, practice manager of user experience for Infusion. For the new product, it’s one of the first times it was put to the test. There are not many customers for Falcon Eye yet. That may change as Windows 7 is about to hit the market. Volume licencing will be available for it Sept. 1 and it will be on retail store shelves Oct. 22. Infusion couldn’t give a base price for the software. It depends on what sort of customized data set up is needed, according to the company.